Australians are living longer, sometimes up to 100 years of age, but still need to work on planning and making sure they can enjoy those extra years, said the Minister for Senior Australians and Aged Care, Ken Wyatt, at Connect Victoria Park’s Village Hub first birthday celebration. He pointed out that, today, there are between 3,500 and 5,000 people over 100 years of age in Australia. By 2050, the projection is that there will 20 to 30,000 people that age. “And organisations like yours [Connect Village Hub] enable people to fully realise the enjoyment of life”, he added as he addressed Village Hub members. 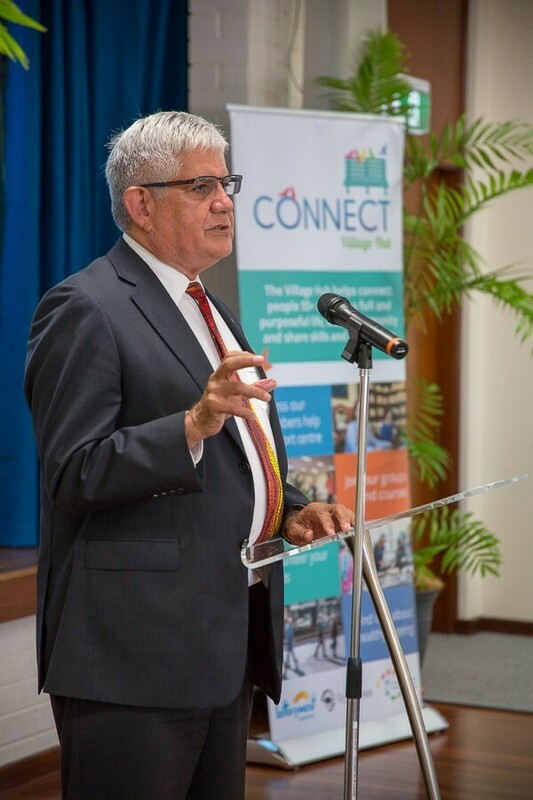 Honourable Ken Wyatt visited Connect Victoria Park on Monday, 14 January, and joined members of the Village Hub at a High Tea to celebrate their achievements in their first year of operation. An initiative by Connect Victoria Park that received seed funding by Lotterywest and the Town of Victoria Park, the Village Hub is an innovative and member-driven program that is changing the face of ageing by offering people over 55 opportunities to connect, be active, develop their interests and contribute to community. “We need to focus on better access to aged care and quality care but, more importantly, better ageing”, said the Minister. “We don’t have those discussions in this country. We talk about football and cricket […] but we don’t talk about what happens when we take that journey to 100 years”. The Minister pointed out that many older Australians end up lonely and socially isolated as the ties that connected community in the past break down. “What I see overseas are people in their 90s still active. Our farmers in the bush are still working”, he pondered. But in Australian cities there are people 65 years of age in an aged care facilities, he added, wasting away. “And you are breaking that by getting involved”, he said to Village Hub members. The Minister joked that he himself would like to attend some of the Hub’s activities, such as the Improving Sleep seminar, as he could use some help in that area. 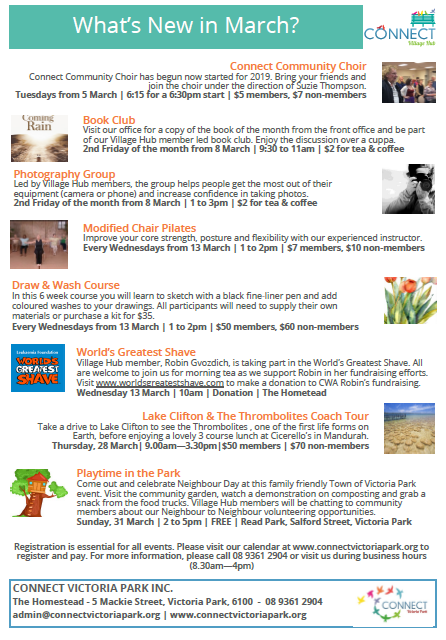 The Village Hub has an extensive calendar of courses, classes and activities. In its first year of operation, its members danced, exercised, volunteered, cooked, walked, cycled, did creative writing, and even discussed local solutions for climate change. At the end of 2018, the Hub counted 200 members and the target for 2019 is to reach 400 members. “What you’ve done is you’ve taken away the notion that I live in the suburb of Victoria Park”, said the Minister. “What you’re talking about is ‘I live in a community in Victoria Park where we have fun, where we connect’. You’re talking about the very thing that centres on you as an individual being part the lives of others”. The Minister reminded Village Hub members that their skills, knowledge and ability to contribute to community are “absolutely important in the future that we have going forward as a nation”. 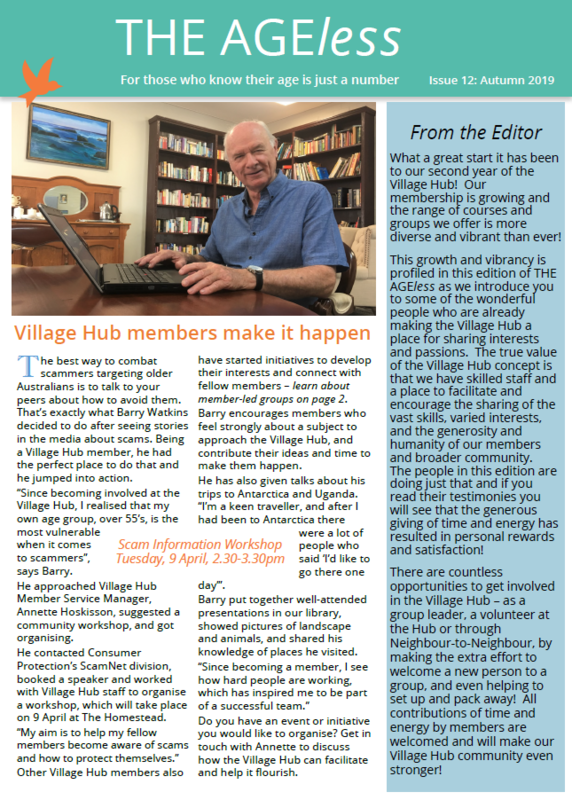 Village Hub members, he concluded, are “beacons” for his mission as a minister: “to have more hubs where we reengage people with each other”.